2019 Heart of Dixie Kick-Off Party! Our 2019 Kick-Off Party will be at Century BMW in Huntsville. SAVE THE DATE! We are working on the event details. Raffles for a free HPDE driving school slot at Barber Motorsports Park, free slot to our March BMW Performance Center ///M Day Club School, and other prizes. 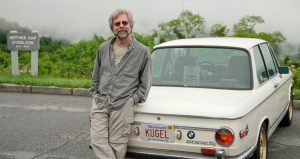 Rob Siegel, the Roundel, “Hack Mechanic” will be our guest speaker. It’s going to be a great kick off to 2019! So plan to join us for a 2019 Heart of Dixie Chapter welcome.